Have you ever dreamed of helping the fashion-challenged women of the world look their best? 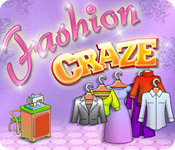 Then play Fashion Craze today! You`ll work up a sweat as you seat customers, take orders, prepare clothes and help your clients choose the best accessories. You`ll also get to dress Maria for success each day and upgrade the shop. Featuring delightful graphics and easy controls, Fashion Craze is more addictive than shopping and more fun than a spending spree! Fashion Craze is rated 4.1 out of 5 by 7. Rated 5 out of 5 by writer3 from Cute and addictive Great game. I enjoyed it as I kept coming back to it, until I beat it. The characters modeling their new outfits at the end of the day was very, very cute. This game is quite unique. Worth a buy. Rated 5 out of 5 by JibbyEllison from Fashion Craze??? 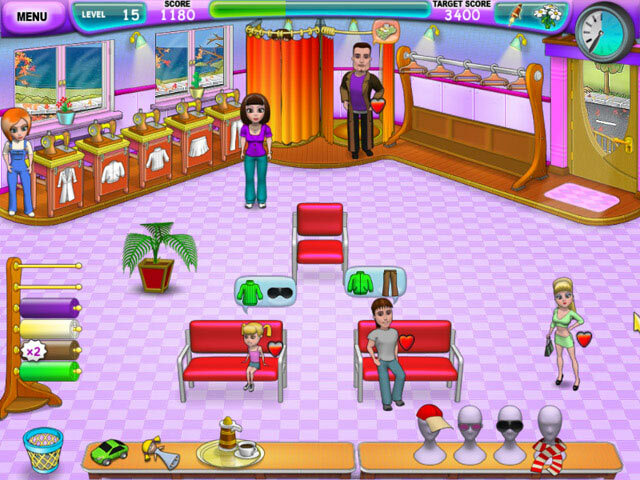 Fashion Craze is a game where you own a fashion shop. 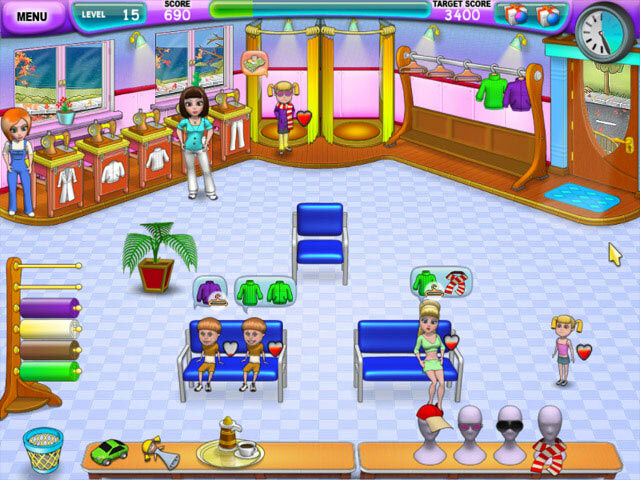 Many old and young customers come in and order clothes and accessories, that you have to either pass onto your employee to make them or find them.You get new items in your shop and can also change your clothes. At the start of the game, it does take a while to load but after that the game goes fast. Even though this game is repetitive, it is also adictive! Visual quality is good. bold and colourful. If I was going to recommened this game, I would recommened it to 8-16 year old girls. Rated 3 out of 5 by SpookyPigdog from something is missing The only thing missing from this game is the upgrades or extras that are found in other Craze games. I played the full trial and there was no sign of that. (maybe it gets better much further in) The only upgrades were colour changes and a boring addition of lighting or a plant. For me, this keeps this game a little lower than it could have been. Dance Craze, Pet Show Craze and Beach Party Craze are all better than this one. Rated 2 out of 5 by VeggieCoral from Meah... I found the gameplay to be boring and repetitive. I didnt like how you cannot purchase upgrades. There were only three colours you can choose from to change up the room. .
Help the fashion-challenged women of the world look their best! Work up a sweat as you help your clients choose the best accessories!